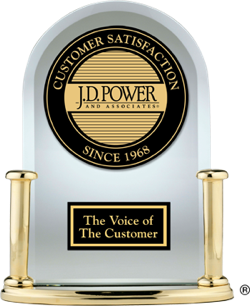 The 2014 Dependability ratings and awards measure the responses from more than 80,000 verified owners of 3-year-old vehicles annually. This rating focuses on the type and number of problems owners experienced during the preceding 12 months with their 3-year-old vehicle. The fewer the number of problems reported by car owners, the higher the score. In 2014, these were the top-ranked small cars and SUVs in their respective segments in terms of vehicle dependability. J.D. Power measures the likelihood that a vehicle will prove dependable over time. In 2014, the following compact cars and SUVs are the most likely to prove dependable over time. If you're wondering what the most dependable midsize cars and SUVs were, the highest-ranked 2014 models in their respective segments are listed below. In vehicle dependability, the ubiquitous 2014 Toyota Camry ranked highest in the midsize car segment. In the Midsize Pickup segment, the versatile 2014 Honda Ridgeline ranked highest in vehicle dependability. For guidance about dependable vehicles, look no further than J.D. Power. Based on the company's research, the following 2014 large cars and SUVs ranked highest for dependability. Owners of 2011 model-year vehicles experienced more problems than did owners of 2010 model-year vehicles a year ago, according to the just-published J.D. Power 2014 U.S. Vehicle Dependability StudySM (VDS). Based on the results of the J.D. Power 2014 U.S. Vehicle Dependability StudySM (VDS), the 12 most dependable 2011 models are, with few exceptions, luxury models, and half of them originally rolled out of a Lexus dealership. Based on the results of the J.D. Power 2014 U.S. Vehicle Dependability StudySM (VDS), which measures the dependability of new vehicles after 3 years of ownership, the following models receive an award for ranking highest in their respective vehicle segments.